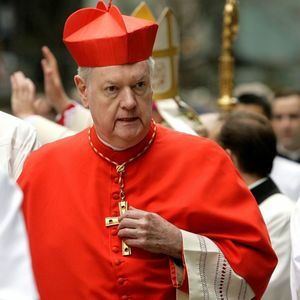 NEW YORK (AP) — Cardinal Edward Egan, a Vatican theological force who led the Roman Catholic Archdiocese of New York for almost a decade, will be eulogized Tuesday from the pulpit where he once preached. His successor, Cardinal Timothy Dolan, will be the celebrant for the afternoon funeral at St. Patrick's Cathedral that follows a public viewing. ""O Lord, now dost let they servant depart, according to thy word, in peace; because mine eyes hath seen thy salvation which thou hast prepared before the face of all peoples: a light to the ..."
"I am sorry for your loss of a loved one . When I lost my son I took comfort from knowing I will see him again . I would to share that hope with you ..."